Welcome back one and all to the Halo Community Update for your latest dose of news and intel from deep within the walls of 343. 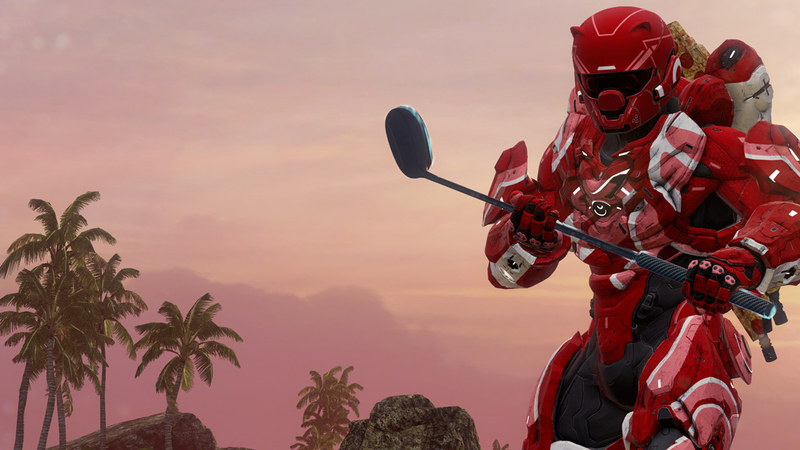 This week we've got a lot on tap including a look at post-Monitor's Bounty Forge goodness, an unsung hero and secret helmet, a Warzone update, a recap of recent HCS news, and more. Before we begin I'd just like to say thank you to everyone for your excitement and support of the Monitor's Bounty release last week! The team has been beyond excited to finally share all of this great content and it's been awesome seeing such positive responses and players having fun across the Community. On behalf of the entire studio, thank you for your support and thank you for sharing your feedback as we continue working to improve your Halo 5 experience. And without further ado, let's dive in! 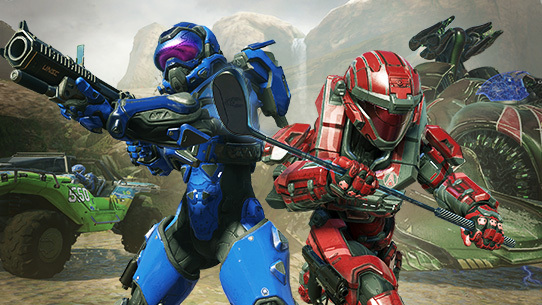 ICYMI: We launched a big update for Halo 5 last week! No seriously, we totally did. If you've managed to read this far and this is somehow news to you, go read this right now. Last week the team celebrated "343 Day," which actually coincided with the release of Monitor's Bounty on Dec. 8, but we opted to schedule our internal events for Friday, Dec. 9 (which was techincally "344 Day," much to the chagrin of several folks). As a new member of the team it was a great experience to first get some updates and insights into the current and future strategy and plans for the studio as well as kick back and have fun with the team. We had an office-wide scavenger hunt that awarded us tickets that we then exchanged for a huge assortment of merchandise in a conference-room-turned-prize-redemption-mecca. Uny and Gh0st snagged themselves an unopened Halo 3 Legendary Edition (me, I've still got two in my garage at home). Grim and I didn't exactly get amazing prizes but we had a great time playing Halo Wars 2 Blitz Firefight Co-Op! One of the more high profile components of "343 Day" was the grand finals for the 343 internal Halo 5 tournament! We ended up not being able to livestream the matches but we did the next best thing – we captured the whole thing using the new Observer Mode feature along with real-time casting by Bravo and Ghost. I'm hoping we can release that footage so I won't spoil it other than say that it all came down to matchup of 343 Pro Team members StrongSide vs. Dersky. While the rest of the 343 team starts to wind down and scatter to the winds for the holidays, the Strategy team is working furiously on the final touches for Halo Wars: Definitive Edition, Halo Wars 2, and preparing some amazing goodness with the Blitz Beta for the new year. 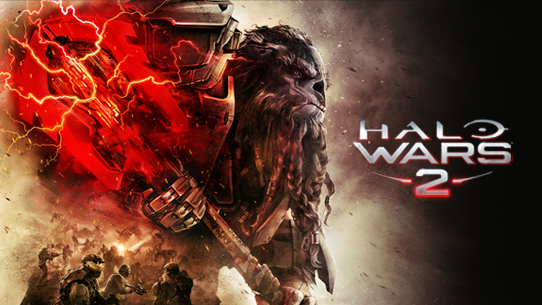 Halo Wars: DE is in the process of clearing certification now so it can be ready and waiting for players beginning Dec. 20! Uny has been busy tidying up some of the Forge offerings in Matchmaking that were disrupted upon the release of Monitor's Bounty. Specifically he's been working with content creators to fix and restore Rift Ball (still under way), fixing that pesky insta-spawning Shotgun on Pegasus II (done! ), attempting to fix the spawn trap on Pegasus II (done! ), and Uny and the original creators have made some performance optimizations to improve framerate with Pegasus II and Orion II. He and the team have also been working on adjusting suicide and betrayal booting in both Action Sack and Grifball game types (done!). Oh and he also made some changes to Ground Pound Arena to remove the Sniper Rifle and replaced it with the Brute Plasma Rifle and Plasma Pistol. How's the new Gold Pack Gifting feature working out for you? I'm told that over 50% of players have already gifted their special giftable Gold Packs. What are the rest of you waiting for? Please though, do not send them to us! We apprecaite your generosity and support but I assure you nobody here at 343 needs REQ Packs. Instead, pay it forward to the Community at large or to that lower-ranked person you matched up with (or against) in a playlist. 'Tis the season after all. I can't really say anything of substance but yesterday we had a studio-wide presentation by Tim Longo, Halo Creative Director, on some super interesting topics pertaining to super secret future stuff. All I can say is that I left that meeting feeling very excited [me too - Grim]. December has been a huge month for the competitive Halo scene as we saw team FABE wrap up their season with a win at the EU Fall Finals, and this past weekend brought the conclusion to the HCS 2016 North Amercian season with a truly awesome finale between reigning champs Optic Gaming and up-and-coming challengers, EnVyUs. In case you missed out on what was arguably one of the all-time greatest Halo finals ever, we've got you covered with this handy recap. We're still buzzing about it here in the studio along with most of the Community. It was truly a battle for the ages (and I'd just like to add that, for the record, I called nV from the beginning!). I just came across this really cool behind-the-scenes video that was created and posted by @RyanTowey. If, like me, you were unable to attend in person, this video offers some cool insights from within the ESL Studios in Burbank, CA. 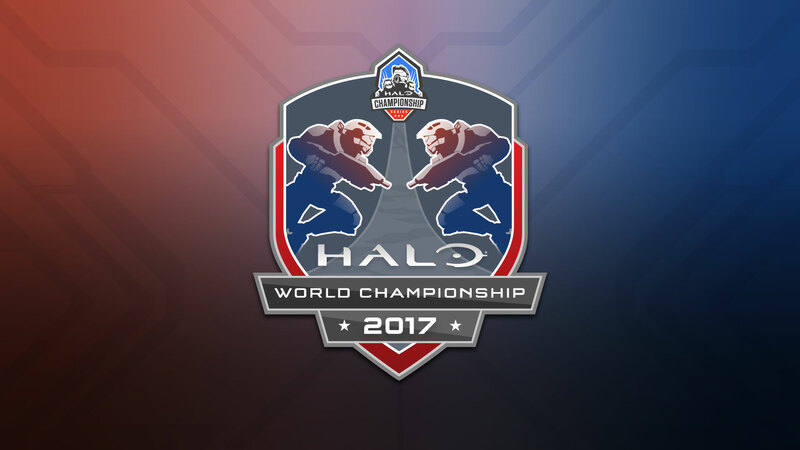 Tashi and the HCS team also made some big announcements over the weekend regarding Halo World Championship 2017 and details for the next HCS Pro League season! There's a ton to be excited about from open LANs to the Dreamhack partnership to crowd-funded prize pools for every event. You can get caught up on all the news HERE, and a few folks have asked for a higher res version of the hot new HWC logo, which you can grab right HERE. The road to HWC 2017 kicks off in a matter of weeks with the first open LAN qualifier taking place Jan. 20-22, 2017, just outside St. Louis, MO. This kickoff event, in partnership with UGC, offers a $50,000 prize pool and will secure Halo World Championship qualifying spots to the top three finishers. FFA and Team Passes went on sale today (Dec. 16) and can be purchased HERE. Lastly, the next step on the road to HWC 2017 is finalizing the updated game settings for the new year. Tashi, Strongside, Quinn, and others across the team have been working closely behind the scenes with HCS pro players for a few weeks now to discuss and evaluate the most pressing feedback and suggestions to help make the 2017 season as fair, competitive, and entertaining as possible. The current plan is to roll out these proposed changes into a rebranded "Team Arena Preview" playlist as early as next week and I'll be posting full details as soon as I have them (and of course stay tuned to @HCS on Twitter for all your Halo Championship Series news!). A: Everyone who pre-orders the digital version of the Halo Wars 2: Ultimate Edition for Xbox One or Windows 10 will receive a token for Halo Wars: Definitive Edition. Tokens begin rolling out on Dec. 20, 2016 and will be sent in waves. You can order the digital version of the Halo Wars 2: Ultimate Edition from the Xbox Store, Windows Store, Xbox.com, or participating retailers. A: If you ordered from the Xbox Store, Windows Store, or Xbox.com, the code will be sent to your Xbox message center. Log into your Xbox One, the Xbox App on Windows 10 or Xbox.com to check your message center. Tokens will begin rolling out on Dec. 20, 2016. It may take 7 – 10 days to receive your token after pre-ordering Halo Wars 2: Ultimate Edition. If you haven't pre-ordered your copy of Halo Wars 2: Ultimate Edition there's still time to get in and secure your early access copy to Halo Wars: Definitive Edition! Thanks, ske7chpad! It might not be widely known, but your friendly neighborhood Grim is an unabashed Achievement enthusiast. The first time that initial bleep went bloop on my Xbox 360 (I believe while playing Tomb Raider: Legend), I was hooked. So for me, it’s an extra special pleasure to reveal the official Achievement list for the Halo Wars: Definitive Edition on the Xbox One and Windows 10 PC – and as you’ll see, it’s worth a grand total of 1,500 gs! You’ll see both old favorites and some brand-new ones thrown in the mix, all accompanied by some absolutely beautiful pieces of Achievement art, ready to adorn your content feed with gorgeous glory. So, while you remain eagerly ready for the sequel, let’s check out the checklist that will be keeping you busy until that day arrives. Thanks, Grim! The Monitor's Bounty update for Halo 5 represented a herculean effort across the entire studio but it's safe to say that the Forge team in particular undertook an incredibly ambitious workload to add a crazy amount of new stuff to the game. Tom French and his team came through in spades, delivering a robust new scripting system, minigames, over 650 new objects, two new canvases, and a host of additional tweaks and enhancements. However, right now we'd like to take a moment to recognize an "Unsung Hero" of the Forge team – someone who chipped in long hours, nights and weekends to help Tom and crew ship something magical. Josh Garrett, a.k.a. AnonFriction, got his foot in the door as a tester at Microsoft until eventually finding his way to his true love – Halo. I reached out to Josh to get some background on his situation, get his thoughts on working with Tom French and find out what it was like to bring so much new goodness to Forge. What follows is a great slice of inspiration for anyone looking to break into the field they love and it's also got some spoilers on a brand-new secret helmet in Halo 5! ske7ch: Hey Josh! For starters, can you tell me a litlte bit about yourself? How'd you get started here with the 343 team? Josh: I moved out to Washington about three years ago because I wanted to work on Halo. When I moved I didn’t have any connections out here or even any industry experience. My previous jobs had been things like customer service and doing various jobs for a local radio station. I managed to get into test at Nintendo and worked there for awhile and kept going to local game dev meetups trying to make connections and just happened to run into a recruiter who was able to get me into test at Microsoft. I started with test on the MP team for the Gears of War: Ultimate Edition but made it clear I wanted to work on Halo and when a spot opened up on the team they moved me over. From there I was able to make more connections with devs and once I found out Tom was the lead on Forge I started messaging him about it and asking questions and giving feedback on it. Tell me a little bit about what it was like working late nights and weekends with Tom and team… is it as magical as everyone envisions? Was it basically like hanging out with Willy Wonka inside the chocolate factory? Josh: It’s pretty great! Haha. Being able to work with the team and give feedback was super nice, and if I was stuck on something I had the guys who made the stuff right there so that’s pretty sweet! The best part of course was the Battle Golf playtests! What was your initial reaction when you first saw/heard about Tom’s ambitious plans for Monitor’s Bounty? What are you personally most proud of / excited about with regards to the new Forge update in Halo 5? Josh: I think Diminishing KotH is the thing I’m most proud of. Tom was able to come up with a cool new KotH variant that hasn’t been done before as far as I know and through playtests I think we were able to get it pretty balanced. The thing I’m most excited for is just getting more crazy minigames from the community and seeing some of the old minigames that maybe had honor rules or weird setups becoming more complete. In a matter of days the community has already started doing amazing things with the new Forge tools and resources at their disposal. Has anything caught your eye? Josh: Oh man there’s been so much cool stuff, and I’m sure I probably missed a ton too since I’ve pretty much been scripting non stop since the update haha, but I think the coolest thing I’ve seen is the handheld teleporter. The stuff people are doing with the Sangheli pieces is also amazing! I didn’t expect to see so many maps with them done this quickly (Example 1, Example 2). Having worked so closely on this content, do you have any insider tips or advice for Forgers who are just starting to work with Monitor’s Bounty? Some eagle eye fans noticed two special hidden helmets buried deep with Monitor’s Bounty. As I understand it, you’re one of only two players on the planet to have the Olive and Timmy helmets! How’s that been working out for you? Josh: Going pretty well, haha. I’ve had quite a few messages asking what they are and how I got them! Josh Garrett, a.k.a. AnonFriction, is one of only two players on the planet to have the "Olive" helmet (so far!). Any parting thoughts or anything else you’d like to share? Josh: Sure, I wanted to say thanks to everyone for the opportunity to help ship Monitor's Bounty. Also, I’m setting up versions of all our shipped H5 maps to support some of the modes being made. They are on my Fileshare labeled as “Mapname (Mini-Game)” They will support FFA Oddball and Stockpile with other modes being added later. People can find me @AnonFriction on Twitter and Xbox Live. A huge thank you to Josh for going above and beyond the call of duty to help Tom and the Forge team pull off an ambitious, awesome content update! I also want to thank Josh in advance for the hotness that's sure to come from his Fileshare in the weeks ahead. I had a chance to play FFA Oddball with Josh and a few other folks earlier this week and it was a blast! You can find the FFA Oddball game type and two FFA Oddball maps, Truth and Riptide, in the "Featured" area of the Forge Content Browser. Since we've now offiically confirmed the existence of the incredible "OLIVE" helmet it only seems fair to also explain how you may someday acquire one of your own. Don't worry, while it was important to Tom and team to let Josh have first dibs as a small token of appreciation, this reward is actually designed to be bestowed upon everyone who wields Forge to make contributions to Halo 5. 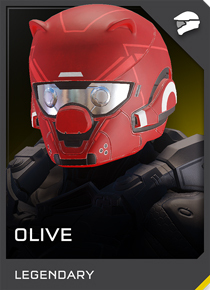 Specifically, everyone who creates a map or mode that makes its way to Matchmaking will be granted the "Olive" helmet as a badge of honor and token of thanks. We will start manually granting these to Forgers with existing content in Matchmaking soon and then going forward, will issue the "Olive" helmet out as we ingest new Forge content into Halo 5's playlists. With Monitor's Bounty we've given you the power and tools necessary to reshape Halo 5 and make it your own. Now the burden is on us to get quicker and more efficient at helping amazing community-created content get into Matchmaking. We'll talk more about the other secret helmet soon. 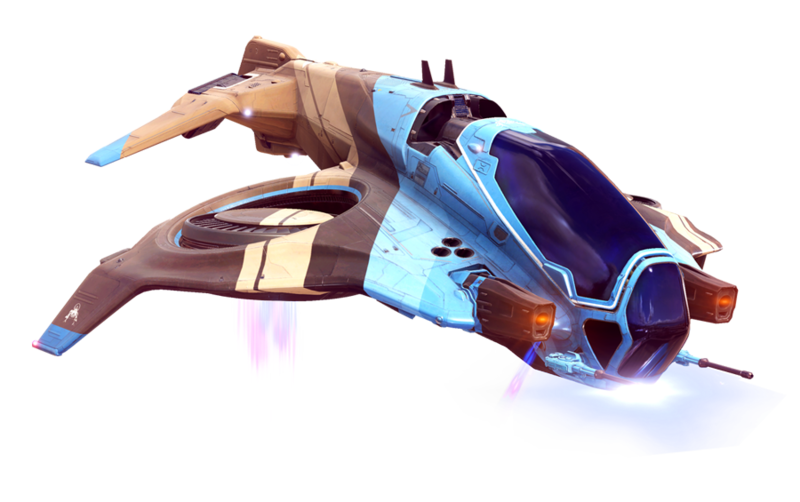 It's been barely a week since the release of Monitor's Bounty and, as expected, the Halo 5 Forge community has been going crazy with the new functionality and content creating some truly amazing things. And it's ONLY BEEN ONE WEEK! The 343 team has thoroughly enjoyed planting these newest seeds across the community and seeing the fruits of your labor. My apologies in advance for inevitably overlooking many amazing things happening in the Forge community but here's a snapshot of just some of the awesome things happening out in the wild along with some new, helpful resources to aid in the creation of your next great masterpiece. Thanks to the advance scripting updates to Forge, clever creators like Unsorted Gaming have been able to construct a Prefab A.I. that will keep you company and follow your Spartan to the ends of the Earth and back again. Yes, that's right. You can now do your math homework within Halo 5 thanks to ingenious scripting by CantUseApostrophes and the newly improved power of Forge. "Battle Math" anyone? Half Life / Portal "Gravity Gun"
Prepare to have your mind blown with this physics-defying creation by Colton1070. McJoeJoeJoe over on Reddit shared his latest creation - a working "Bubble Shield" for Halo 5! I've been spending my evenings this week getting re-acclimated to Forge (I admittedly haven't really used Forge extensively since Halo 3!) by building out a litlte map amidst the tranquil ocean floor of Depths. It was rough going at first, but after two nights I finally feel comfortable with the basics again and the ideas are starting to flow for tons of new concepts. On a side note – hanging out in Depths is also a relaxing, zen-like experience that's been a great wind-down before bed (though be warned, I always sit down with the intent of Forging for "a little while" and next thing I know several hours have gone by – time flies when you're having fun, right?). Thankfully there's no shortage of awesome, helpful tutorials and content out there to help me take my Forge game to the next level. Here are a few of the newest tutorials I've come across following the release of Monitor's Bounty. And of course, you should totally bookmark Forgehub.com as an invaluable resource for all of your Halo Forging needs! Yah man, getting irie with it... Our friends at Forge Labs have delivered an in-depth guide to anything and everything you ever wanted to know about Tom French's favorite new addition to Forge – joints. This tutorial is totally lit – as the kids might say. As we've been going through all of this amazing content Grim and I have both been lamenting our own lack of abilty to successfully build out our ideas in Forge. We're big on ideation, not so much on actual execution. So we got to thinking, "Hey! Why don't we see if the vast army of Forge experts in the community wants to take our ideas and turn them into reality!?" It's easy for us to say since we arguably have the easy part but perhaps one or more of you are willing and able to either give birth to our idea in playable form or prove that it's a garbage idea not worthy of anyone's time. If the community likes this then we'll do it more often and find ways to reward Forgers who answer the call and devote time and effort to our cause. Cool? Cool. As you've no doubt seen and experienced yourself, it's been a whirlwind week since the launch of Halo 5's tenth free content update. And while many of you have been forging away and enjoying the new REQs, playlists and features, quite a few of you have also had questions and/or reported some unusual issues or odd experirences back to the team. I started a "Frequently Asked Questions" over the Waypoint Forums that I wanted to bubble up here for greater visibility. If you have questions or issues that aren't addressed please feel free to share feedback in our forums. Q: What's the file size of the Monitor's Bounty update? A: This jam-packed update comes in at approx. 7.2 GB. Q: How do I get all of the amazing old-school helmets that were shown on Halowaypoint? A: The ICARUS armor and helmet are currently the only ones available to players. We will have more information on the rest of the helmets early next year but can confirm that they'll be available for both RP and real currency purchase. Q: Why isn't the Voices of War REQ Pack available in my region? A: Don't worry, it's coming! What was initially believed to be simply a Marketplace Store localization delay has unforutnately turned into a slightly more complicated issue that is regrettably going to result in a further delay before Voices of War is avaialble in non-English regions. We are deeply sorry for this delay and the resulting inconvenience this brings to Halo 5 fans across the world. We appreciate your support and enthusiasm for Voices of War and are working to release it worldwide as soon as possible. We're unable to commit to a firm ETA at this time but expect it will take at least several more weeks to resolve. Again, our apologies and thank you for your patience. Note: Some players are reporting a "season pass" error when trying to purchase the Voices of War pack from the Marketplace store. This is a result of the pack not being officially available yet in your region. Q: Will the Voices of War announcers be in English or is it localized? A: All three announcer voices will be in English, regardless of the language your console is set to. Q: When I opened REQs after the release of "Monitor's Bounty" none of the items were showing up. What's up? A: There was a temporary issue affecting the display of the REQ card imagery but not the actual REQs themselves. This issue was short-term and has since been resolved. Q: How/where can I play the new Mythic Warzone Firefight playlist? A: This new challenging experience is designed as a special weekend-only rotating offering and is targeted for release on Fridays. The current plan is for a new Mythic Firefight playlist to be available each weekend. Prepare yourselves. Q: Why are more players joining my Custom Game lobby beyond the specified player-size limit? A: We're super excited to see the new Customs Game Browser taking off in the wild but there is an issue that allows more players to join than the host has specified. We understand this is less-than-an-ideal situation and the team is aware and investigating. Q: I heard that an "FOV Slider" is coming to Halo 5: Forge on Windows 10? Q: I thought the mouse/keyboard input was supposed to be improved for Halo 5: Forge? A: The most recent update did address some bugs and issues that were impacting mouse & keyboard controls but we understand this continues to be an important topic for players and your feedback is top of mind as the team looks ahead to future priorities and ongoing support for Halo 5: Forge. 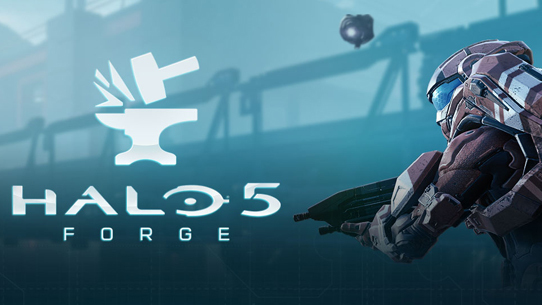 In the meantime, please also keep in mind that Halo 5: Forge supports an Xbox One controller in addition to mouse & keyboard. Q: Will the framerate be "uncapped" for Halo 5: Forge? I have a high-end PC and video card and want to push it beyond 60fps! A: We've heard fan requests for this functionality loud and clear and the team has looked deeply into this issue. Unfortunately since all of the game code and logic for Halo 5 - in both the client and dedicated servers – is fundamentally built around and assumes 60hz it's not going to be possible to implement this change. Currently there are some community "hacks" that allow players to go beyond 60hz but doing so really highlights the issues as physics start to break, particle effects misfire, water and surfaces behave incorrectly and so on. This is certainly something the team will continue to think about as we move into the future but is unfortunately beyond scope for Halo 5: Forge. A: Hey that's not a question! But seriously, thanks to your feedback, the team discovered that some content items from Monitor's Bounty didn't get fully ingested into Waypoint and as a result were unrecognized / undisplayed. Good news is that this issue has been partially fixed already (hooray!). The somewhat not good news is that we are still having issues recognizing new minigame game types in the Waypoint content browswer and the team is still investigating a resolution. We know that many of you had questions about Warzone and the new fireteam limit so let's jump over to that now! With the Monitor's Bounty update we saw a few changes to Warzone in Halo 5 – namely the addition of new Heroic and Mythic difficulites for Firefight and a test-case reduction in the maximum fireteam size for Warzone and Warzone Assault. As first mentioned last week, this new, more challenging Firefight experience is designed to be offered on a rotating basis on a different map each weekend. This weekend you and your friends will be tasked with the challenge of besting Mythic-difficulty enemy hordes on Temple. This plalylist will be available Dec. 16 through Dec. 19 so round up your squad and jump in before it's too late (if you dare!). Lawrence: A large fireteam of coordinated players "dog piling" on Warzone objectives creates a stressful and competitive environment that falls outside of the ideal experience we're trying to offer players. This test is designed to help us better understand the impact of larger fireteam size on player sentiment in Warzone, particularly solo players. We also want to see if smaller fireteams cut down on the frequency of blowout matches and facilitate less stressful and competitive play in Warzone. We are continuing to monitor data and feedback while also exploring other alternatives to potentially solve for these issues. Thanks, Lawrence! As soon as we have new updates and info I'll be sure to relay right here on Waypoint. Until then, enjoy your Mythic weekend on Temple and we'll check back in soon. 'Tis the season for gift giving and if you're still looking for the perfect present for the Halo fan in your life then you'll be happy to know that @HaloGear has you covered! From apparel to toys to brand new items like the "Halo Mythos" book, you're sure to make someone happy with some Halo goodness for the holidays. 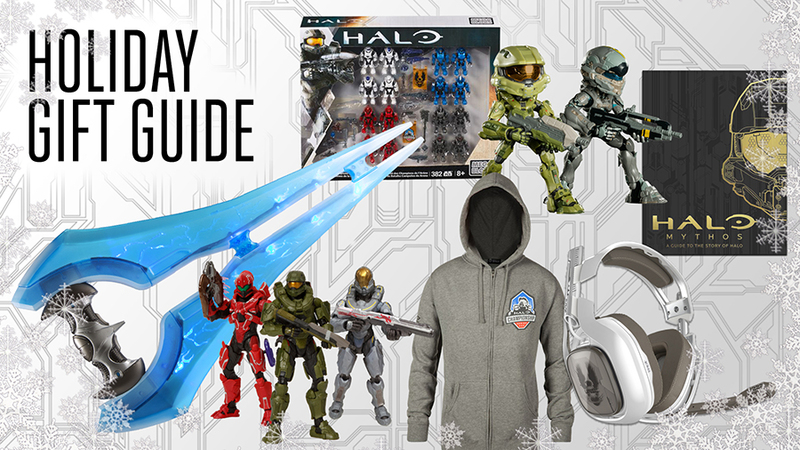 Check out some of @HaloGear's top picks with this handy Halo Holiday Gift Guide. Now over to you, Unyshrek! This Play of the Week comes from the Halo subreddit’s moderator, Crony. 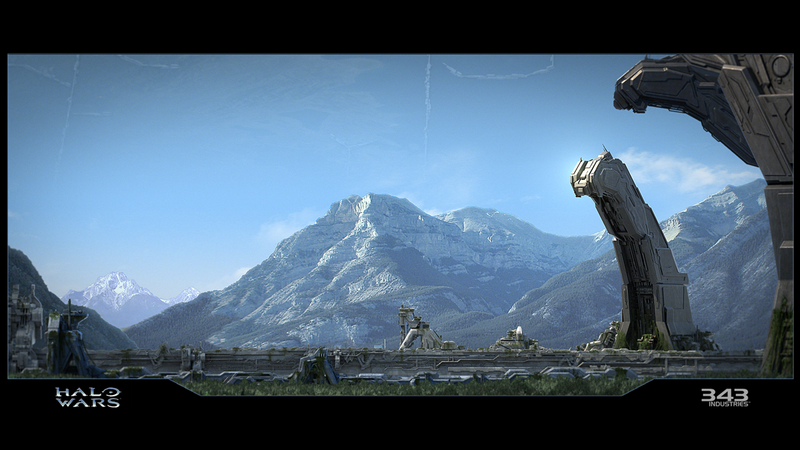 After battling from the low ground to take out one enemy, he then swaps over to his sniper rifle to dispatch another. At this point, even though he has no shields, he decides to go for the clip. Sprinting into the side panel on the wall, then thrusting off of the rounded edge, he makes the jump and quick-scopes a third opponent to secure the title of Play of the Week. As you some of you know, I love Halo montages (which is why I enjoy doing Play of the Week so much), so I have a special feature from Nv1ncible and TheHaloForum. We love Halo, and TheHaloForum is extremely proud to continue to be a home to and support some of the most creative folks in the Halo community. Thanks Nv1cible! These are some of the best montages I've ever seen and I hope everyone get's a chance to watch them when they have some free time. That’ll be it for me and the community’s mind-blowing clips this week. Now, over to Brian for this week's goodbye! Thanks, Uny! And with that we've come to the end of this week's update! Thank you again for embracing Monitor's Bounty and having so much fun with all of our newly released toys. I've had a blast playing customs with many folks across the community and hope to cross paths with many more over the holiday break. I'll be around for a few days next week and plan to have at least one or two more blogs for Waypoint before I too disappear until the New Year. Until next week – Forge On, You Crazy Cartographers!